The operators of two purported sham charities have agreed to settle charges by the Federal Trade Commission and the Attorneys General of Missouri and Florida that they deceived donors with false claims that their organizations helped disabled police officers and military veterans. The operators of both schemes are permanently banned from charitable solicitations or otherwise working for charities. The settlements with Disabled Police and Sheriffs Foundation, Inc. (DPSF), and American Veterans Foundation, Inc. (AVF), highlight the FTC’s ongoing efforts to stop sham charities from defrauding donors. Disabled Police and Sheriffs Foundation, Inc.
DPSF (also doing business as The American Police and Sheriffs Association, and Police Officers Safety Association), and its founder and Executive Director David Kenik, are banned from soliciting charitable contributions under a settlement with the FTC and the state of Missouri, for falsely claiming that consumers’ donations would be used to help police officers and families of slain officers, provide life-saving equipment to law enforcement agencies, and provide advanced, specialized training for law enforcement officers and departments. 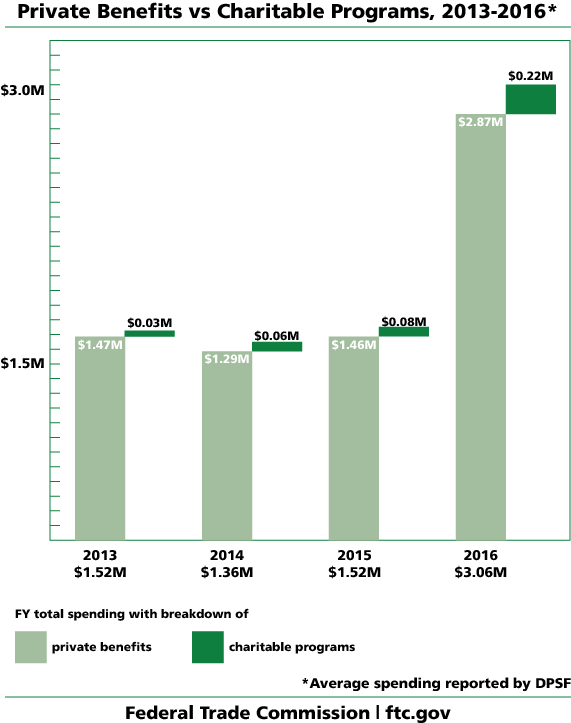 Consumers responded to the calls for help and donated more than $9.9 million to the ostensible charity. In reality, DPSF spent almost nothing helping the families of officers slain in the line of duty, or assisting disabled police and sheriffs. The defendants are charged with violating the FTC Act, the FTC’s Telemarketing Sales Rule, and Missouri state law. The Commission vote approving the proposed stipulated final order with the Disabled Police and Sheriffs Foundation, Inc. was 5-0. It was filed in the U.S. District Court for the Eastern District of Missouri on March 27, 2019. The order also imposes a monetary judgment of $9.9 million. All but $100,000 of this amount is suspended due to defendants’ inability to pay. The money paid will go to one or more legitimate charities that actually assist disabled police and sheriffs, as recommended by the state of Missouri and approved by the court. AVF and its founder and president Paul K. Monville are banned from soliciting charitable contributions under a settlement with the FTC and the state of Florida, for deceptively claiming that consumers’ donations would be used for specific charitable purposes, including care packages for deployed service members, immediate assistance to veterans facing homelessness, and counseling. In reality, the vast majority of consumers’ contributions went to the telemarketers, employee compensation, and other overhead, and almost no money was spent on the programs described to donors. The defendants are charged with violating the FTC Act, the FTC’s Telemarketing Sales Rule, and Florida state law. Earlier this week, the FTC announced a settlement with another sham charity operation called Veterans of America. The FTC alleged that the defendants used a variety of fake charity names and placed millions of robocalls that tricked consumers into donating vehicles and other valuable property, purportedly to benefit veterans. 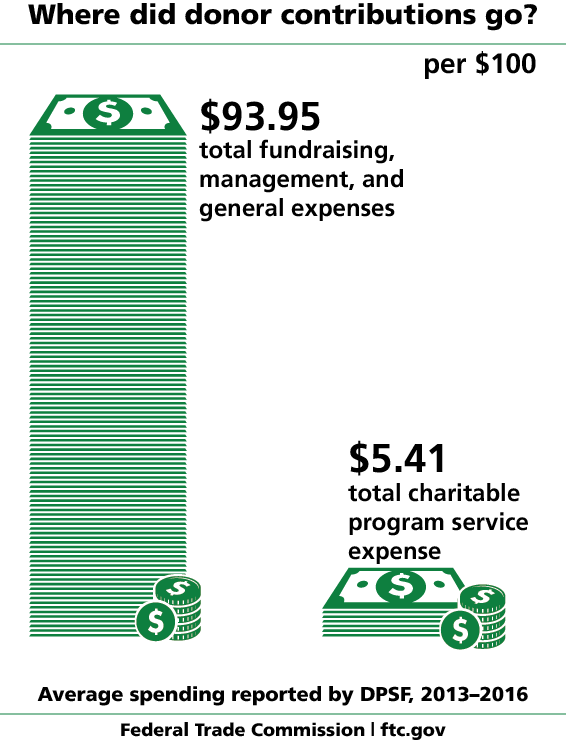 In reality, none of the proceeds were used for charitable purposes. The Commission vote approving the proposed stipulated final order with American Veterans Foundation, Inc. was 5-0. It was filed in the U.S. District Court for the Middle District of Florida, Tampa Division, on March 27, 2019. The order imposes a monetary judgment of approximately $6.5 million. All but $105,000 of this amount is suspended because of defendants’ inability to pay. The money paid will go to one or more legitimate charities that actually assist veterans, as recommended by the state of Florida and approved by the court. Media Only: An affected consumer will be available to recount his experience with the American Veterans Foundation, Inc. and answer questions upon request. Please contact the FTC press office for requests. Major Jason Schott, Chief Deputy in the Ste. Genevieve Co. Sheriff's Office in Missouri, is available to speak to the media. Please contact him directly at 573-880-8029 (cell) or e-mail him at Major@Sgcso.com. Find data and trends about fraud such as charity scams in your state by going to our Tableau Public website and clicking on your state. 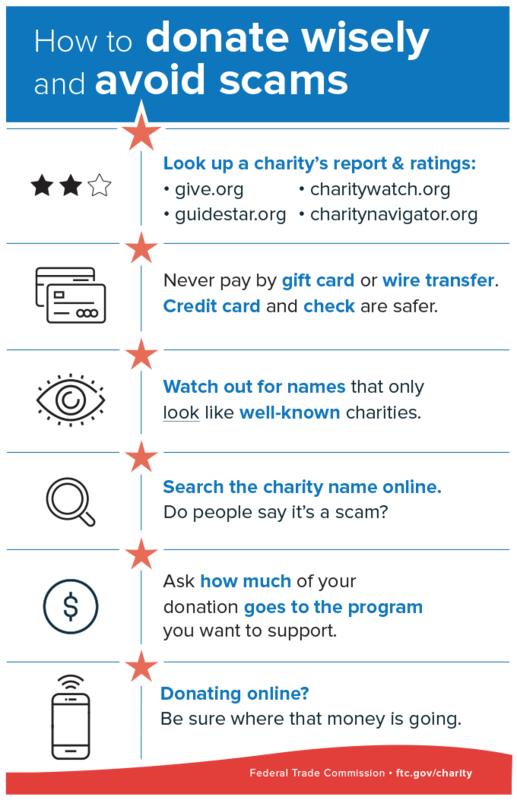 Donors and business owners can find information to help them donate wisely and make their donations count at FTC.gov/Charity.